Guide to: Hallway Mirrors — Inside Her Home. Hallways are notoriously tricky rooms to decorate… they are usually small, narrow and unexceptional. I live in a Victorian terrace house, so although there is some really lovely details such as a high ceiling and intricate cornicing, it is very long and very narrow and very dark. When tackling any room, a great way to focus your mind is to start with the focal point. This is the area which will draw your eye and give the eye somewhere to land. In a hallway a great way to do this is by using a mirror. Why? Because mirrors bounce light into the room, are super useful and create that much needed focal point. First up is a little snap of my hallway revamp where I have used a trio of mirrors to create a dramatic feature above the radiator. It is in the centre of the hallway so makes a natural point to draw the eye. These mirrors compliment the colour I chose for the walls in her (Light Peachblossom by Little Greene) and I knocked the symmetry off by choosing the third mirror in the series in a different colour. Clustering the same, or complimentary mirrors, is a really interesting way to add a unique look. Make sure they all have a common theme e.g. shape, or colour so they make sense together. Here is another favourite example of a trio working together to great affect… these Normann CPH. The touch of colour and mix of fluid and rigid shapes is just gorgeous and would look fabulous above a sleek console table. Next up is a perfect solution for small spaces where a table isn’t an option… the mirror/shelf combo. This is by Ferm Living who have some great combinations to play with which tick the ‘quick outfit check’ on the way out, and the ‘somewhere to dump my keys’ on the way in dilemma. The long length of this mirror will also give an illusion of height in the room. This is another example from Ferm Living (their small space solutions are just too good! )… a full length wall mirror with some added detailing for interest. These small additions (the iron work either end of the mirror) works really hard to give that added detail which is often lacking in a hallway space where features are at a minimum. If you have space, style it up with a chair or a small stool - the perfect spot to pull your boots on. Now these are pricey but I couldn’t not mention these Fritz Hansen mirrors for inspiration at least… when faced with a dark, uninspiring hallway it is difficult to find the right paint colour, so many people understandably, play it safe. 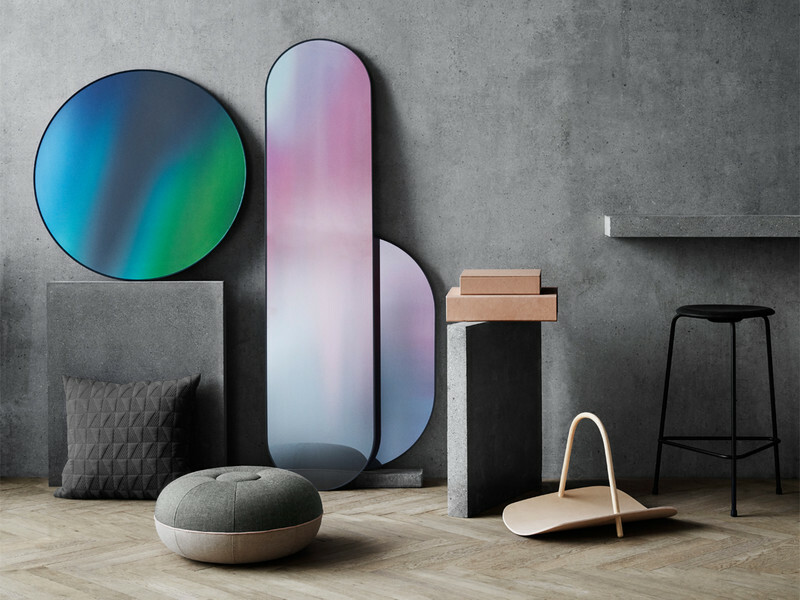 That is where these mirrors really come into their own… bringing some major colour and personality into any space. We are seeing more and more coloured glass options become available on the highstreet which is great… these are less about checking your make-up and more about adding colour. Wall art rather than functional looking glass. I’m in! 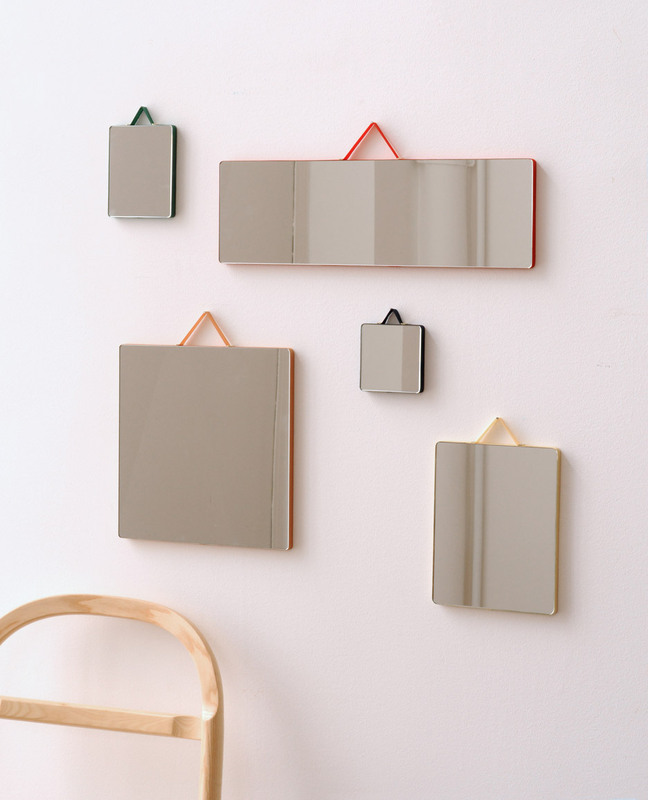 Aside from creating a focal point, mirrors can also do wonderful tricks to the eye. For example, choosing a mirror which gives the illusion of a window can be a powerful way to change the dynamic of the hallway. This is a traditional wood example, but there are loads of crittal and steel style options which would look fabulous in a more modern property. Go as big as you dare! Check out Maison du Monde who have loads of options. Finally, mirrors can be really expensive but by choosing a cluster of smaller sized options can be just as effective as one huge mirror. I have these beautiful Hay Design mirrors on my landing and the bright pops of colour always make me smile. Hope that has been useful!